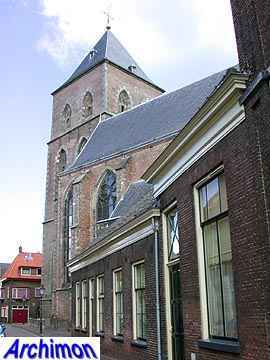 The name Buitenkerk (buiten = outside) reminds of the time that this part of Kampen lay outside the walls of the town. Originally a chapel stood here, dedicated to the twelve apostles. Ca. 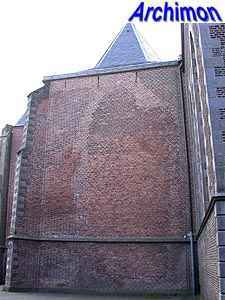 1335, when it was protected by the walls, work on a cruciform basilican church was started. 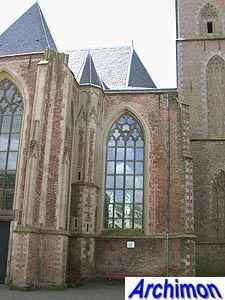 The choir and the transept were finished in the third quarter of the 14th century. 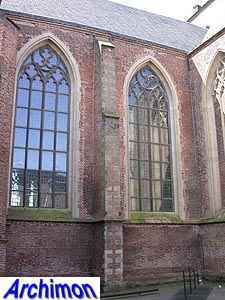 At that time these parts of the church were still covered with tuff, only part of which is still there. 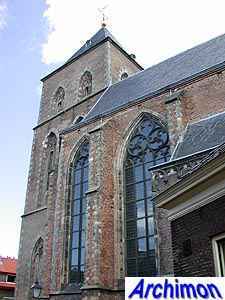 The nave was built in the last quarter of that century, led by Rutger van Keulen. 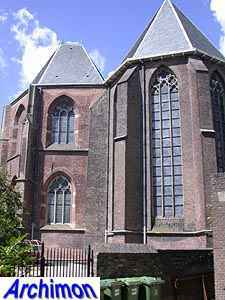 The intention to build a basilican church was abandoned, and instead a hall-church was built, with three aisles of equal height. The northern aisle with portal and stair-turret were finished ca. 1400, while the south aisle followed shortly after that. 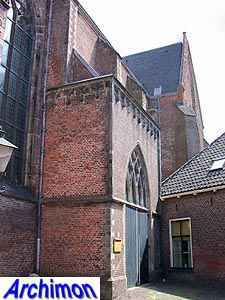 Next to the choir stands an unusually big polygonal sacristy which probably dates from the second half of the 15th century. 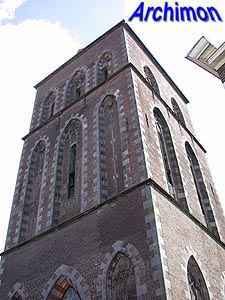 The tower was built between 1453 and 1481. On top originally was a natural stone lantern tower. 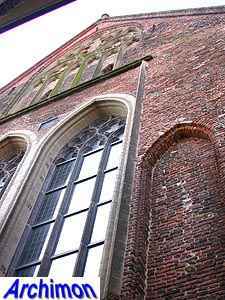 The upper part of the tower collapsed in 1607 and was never rebuilt or replaced. 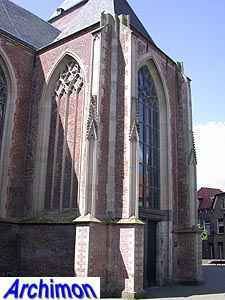 From 1580 until the end of the 18th century the church was a protestant one. After the protestants had abandoned it it was used as a stable and fell into decay. 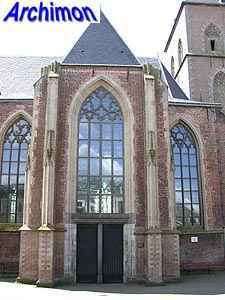 In 1809 king Lodewijk Napoleon returned the church to the catholics who until then had been using two small hidden churches. Although the king intended to do some justice to the, until then oppressed catholics, they usually were handed ruins and neglected buildings like this one. 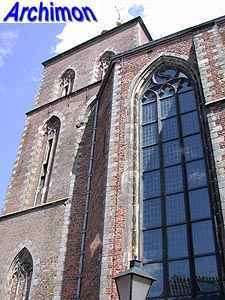 Several restorations have been carried out since. A restoration from 1886 until 1893 by I. Gosschalk, using plans by P.J.H. 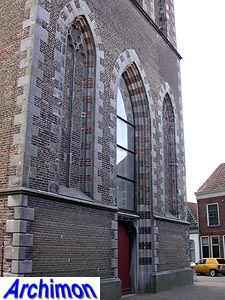 Cuypers and under his supervision, resulted in the replacement of most of the tuff at the outside of the church by industrially-made bricks. In 1963 the church had once again fallen into decay and was closed for safety reasons, making another restoration necessary, which lasted until 1970. Today, new repairs are badly needed.